Nick Collison, Strong Forward for the Seattle SuperSonics, has added his name to the ever-growing roster of all-star athletes competing against consumers on Xbox Live as part of the extremely popular "Game With Fame" program. On the heels of one of the most memorable tournaments in NCAA history, Collison will be taking on gamers in Electronic Arts' NCAA March Madness 2005 on April 7, 2005 from 3-5 p.m. PT. For more details about this "Game with Fame" event, please visit the official site. Nick will be playing online with the gamertag SonicsJayhawks. Electronic Arts' NCAA March Madness 2005 offers gamers a powerful basketball experience. Game features include scouting reports and locker room videos from some of the nationâ€™s top coaches, allowing players to create the ultimate gameplan. As a teamâ€™s point guard, players can call out team-specific plays and sets while leading their team to victory. Gamers can encourage teammates, call out a slumping player, seek advice from coaches and more. Xbox Live's "Game with Fame" gives game fans the opportunity to play on Xbox Live against some of today's hottest stars. Past "Game with Fame" celebrity players include The Strokes, Hoobastank and Buffalo Bills' Running Back Willis McGahee. 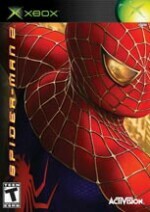 In Spider-Man 2, the highly anticipated follow-up to Activision's 2002 monster hit game, Manhattan becomes a gamer's playground as you take the role of Spider-Man in a battle against the nefarious Doc..